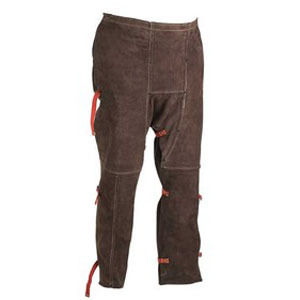 Fitted with adjustable snap fasteners for the waist, thigh, kneed and leg straps. Tough enough to handle whatever you can throw at them. Split cowhide, 40 inches in length.